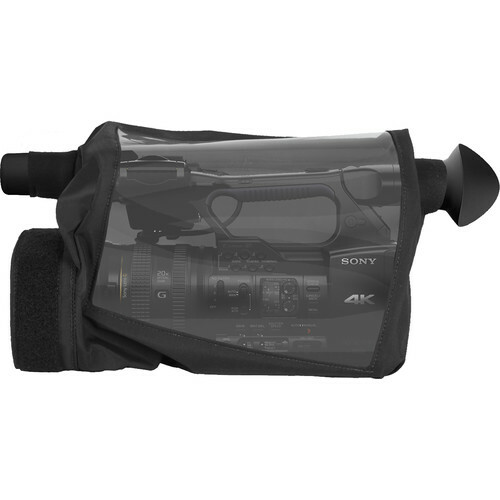 The compact HD quick rain slicker (QRS) is custom fit to your camera. Velcro-sealed flaps, clear vinyl windows and zippered openings provide maximum protection and optimum ease of operation. Special triple-layer, tricot-finished, nylon is used around the body of the camera to repel water at the case surface. Cameras with fold-out video screens are shrouded with a black fabric hood that makes viewing LCD monitors easier on sunny days.